Welcome, Fellow Storytellers, Editors, and Librarians! Curious about our work? Our books are written by writers, for writers. In addition to ongoing translations, our books are used in universities and by editors, agents, writing consultants & authors all over the world. Here are some of the things being said about our resources. You can find our books at all major online retailers (below), or visit The Book Depository for free worldwide shipping. When purchasing PDFs, make sure to click the PDF link located next to each book’s individual cover. We are happy to accommodate requests whenever possible. We distribute through KDP Print which, in turn, distributes to Ingram, so anyone who has an account can order at discount through them. If you would like to purchase a bulk book order (print, digital, or PDF) for your workshop, event, or to give as a gift to editing clients, we can provide what you need. If you are interested in a signed copy, we’re happy to do those as well. Pricing in both cases will depend on the book and shipping costs. Contact us by email and we’ll chat! Local bookstore and libraries should be able to bring in our books. Just submit your request to them with the ISBN number (found on the Amazon link page). Happy writing! If you are a fan and want to know when the next thesaurus book will be available, just add your email here. We’ll fire off a quick notification as soon as it hits the shelves. Are you a collector? Information and purchasing options for the first edition of The Emotion Thesaurus can be found here. We now have more than books to offer! One Stop For Writers® is a one-of-a-kind online description and brainstorming library that must be seen to be believed. In addition to housing all of our book content, One Stop has a powerful 14-thesaurus database that is a writer’s dream. Add that to incredible story planning tools like the Character Builder, Story Maps, Scene Maps and Timelines…you might just find yourself writing more (and better!) than ever before. Stop by sometime–registration is always free. To discover more about what our site has to offer, visit our Features and Tools page. Looking for a thoughtful gift for a writer you know? Try a One Stop Gift Certificate and help them elevate their storytelling. Did you know that Writers Helping Writers® donates a portion of our book sales to a charitable organization each year? To date we have given $4500 to charitable projects. We’re able to donate to a worthy cause due to your kind support, so thank you very much! I pre-ordered the updated Emotion Thesaurus from Amazon.ca but today (February 1) got an email saying the release has been cancelled (and thus my order too). Is there someplace else from which I can order it to Canada? Or, do you recommend I simply wait and it will be released on Amazon.ca at a later date. Thanks in advance for an update! Hi Barbara, We have just started hearing from people who said Amazon cancelled their order, and so we are looking into why (this wasn’t us). I think some sort of glitch has occurred, and I deeply apologize for the inconvenience. As soon we we get this fixed we will be in touch. In the meantime, what would help us is to know the date you ordered (it should be on that cancelled invoice at amazon in your account). Also, to confirm, this was the print version? Again, so sorry! trying to get to the bottom of it. Is there a chance your occupation thesaurus will be coming out in paperback or ebook soon? I’d love to buy one. Thanks for letting me know. I signed up for the new releases newsletter this morning. I’ve purchased the full set of ebooks and now wonder if there was any discount if I bought a full set of the hard copy version? Hi, Margie. We don’t have any discounts for buying more than one book at this time. We’re looking into the possibility of offering boxed sets in the future, but we’re not sure it’s going to be possible. Stay tuned! I ordered and paid for a pdf copy of the Emotional Wound Thesaurus. It’s been half a day. I’m wondering when I can expect to receive my file. I’ll be sending you a message shortly, John. Do you have any intention of a resource for relationship types and interaction between characters. Sibling, boss-employee, childhood friends, enemies, ex lovers, just the interpersonal relationships that play a role in character interaction and choices? Or perhaps a suggestion of reading material? Will you publish a thesaurus for Weather and Earthly Phenomenon? Thank you! Will you be offering a hardcover pack of all the books for a discounted price? Because of the size and the weight of these books (they are much larger than paperbacks), it is unlikely we could put them all together in a package. If there was an easy way to do it and we thought enough people would want it to make it worth the effort we would, but so far we’ve not found a way to do it that makes sense. Is there a way to buy all the 7 books in PDF and make a single payment? Thanks in advance for your answer. I own every Thesaurus and just found the ONE STOP site and JOINED right away. I appreciate all the work and good information you provide! Thank you for all the assistance you have provided me over the years! Even if you didn’t know you were doing it! These are so great–I have two so far, I’d love to have all of them one day! Just a bit tight on my book budget right now. Is there a chance you’d ever consider some kind of “book bundle” deal on the Kindle or print book someday? 🙂 That said, I know a lot of hard work goes into these and good sales help keep things running. So if I have to wait and save up for them I certainly will. Thanks in any case for creating these wonderful writing resources! We may offer a book bundle at some point for some of these books, but we also have priced these very fairly to make them affordable for all (rather than choosing the “inflated pricing model” you see most traditional publishers run with). Because of this, any discount would be minor for a book bundle. As much as we wish it wasn’t so, Becca and I have to eat, lol, and so yes, we do charge a fair price for our work. I’m in Australia and want to purchase The Emotional Wounds Thesaurus from the Book Depository but my daily searches of their website only show the earlier Thesaurus books. Will The Emotional Wounds Thesaurus be available at the Book Depository at a later date? Hi, Enisa. Yes, our latest book will eventually be available at Book Depository. Unfortunately, it takes 6-8 weeks for a new print book to make its way into the distribution channels that will enable Book Depository to access it. So it may be a while. I’m very sorry about this; I wish there was a quicker way. It just takes a while for each book to make it’s way to all the channels when they first go live. I was confused as how to order now at the $5.99 price. When I pressed the Amazon icon above it stated $17.00 I think. Exactly what is your notice offering and what are the steps to take advantage of it? Do I need to wait another day? Thank you, I’m anxious to read it, I guess. Beverly if you click on the ebook (Kindle) link, you will be taken to the kindle price of $5.99, and if you click on the print link, it takes you to the print price, which is $17.00 currently. Sorry these are on 2 different links–it always takes Amazon a bit of time to link the two so they show up on the same page. Just purchased the physical book version of the Emotional Wounds Thesaurus. It’s on Amazon. Thank you for putting this wonderful, helpful series together. Thanks so much for your support, Frances. I hope you find it really useful! Need Emotional Wound in PRINT please!! It just uploaded to Amazon, Kellie. 🙂 Happy reading! I just received all the Thesaurus books that I could purchase on Amazon. I love them! The books are exactly what I was needing to get my creativity flowing once again. Thank you! I just sent you a message, Naomi. Do you happen to offer these in a bundle? I have used your wonderful Emotions Thesaurus frequently. It is such a valuable resource. Thanks for the kind words, Martii. We always like to hear that our books are doing what we intended them to do: help writers :). Hi, Martil! 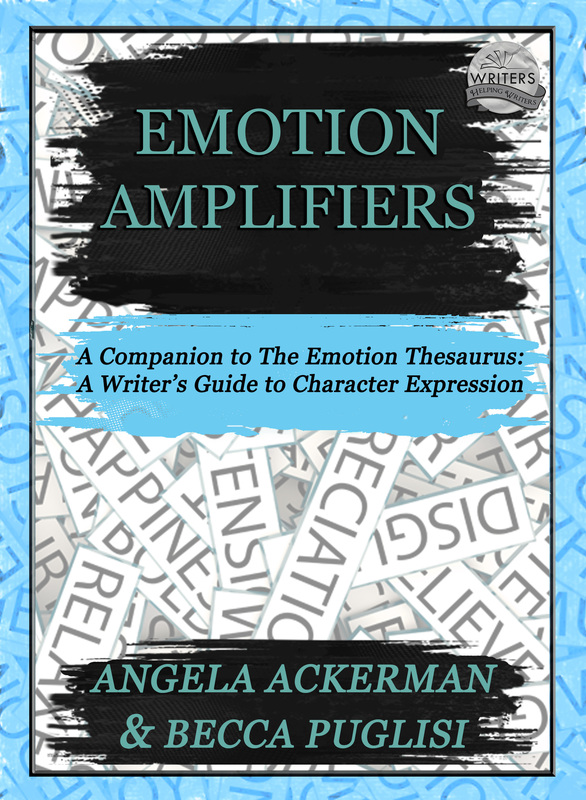 In case you didn’t know, I wanted to tell you that we’ve released a second edition of The Emotion Thesaurus containing 55 additional entries and enhanced front matter. Because you enjoyed the first edition, I thought you might want to know about the second one :). Hi becca ands Angela. I’m not able to post a pic but I absolutely love your work and have followed you on fb for a while now. The emotional thesaurus would be my pick of the books as it’s the thing I struggle most with and when I do I jump on the WHW website. I get carried away by all the info available. I go down a rabbit hole ending up looking at all of the other thesauruses. 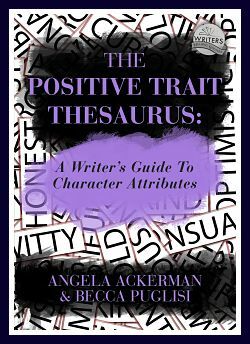 They connect through setting, emotions and characters so writers can create well developed characters and stories. Even if I don’t win a copy I’m still going to jump on the website whenever I need a bit of help. Great job girls! I have tried to paste multiple pictures of your wonderful books in regards to the FB contest but cannot to no avail. Please know these would be an amazing help to my writing and I would love the opportunity to win them. I am a wordy girl! Please feel free to scope out my blog. I am known as the Word Junkie on my blog and at All Poetry. Thanks so much and blessings to all! Hmmm. I thought I posted this query once, but (at the moment) I do not see it in the thread. So I’ll try again (and please forgive me if it does end up being a duplicate). For example, which of the following can I do with the PDF? Hi, Rose. I’m not positive about this, but your editing capability on PDFs may depend on your system. 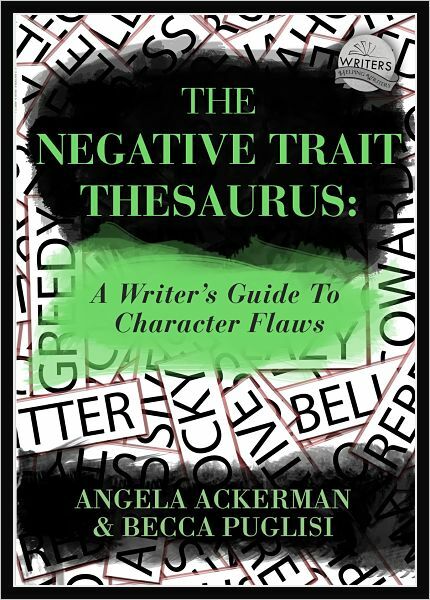 On my Mac, I can highlight, add notes, and add symbols to a PDF copy of The Negative Trait Thesaurus, for example. I don’t know what options are available if you’re using a PC or viewing the PDF on a pad/phone/etc, but I do know that anyone has the ability to print the PDF and save it to your system. You could also do all of this with the kindle and nook digital versions. I hope this helps! Hello, Becca – Nervous authors will sometimes lock their PDFs so tight that you can’t do anything except read it online; or you can print it and that’s all. I bought the Emotion Thesaurus and experimented with Adobe Acrobat on a PC. So far, no speed bumps. Thank you for that! Well, we definitely want our authors to get the most out of their PDFs. For nonfiction books, you really need to be able to highlight/underline and make notes, so I’m glad our product is giving you want you need. Enjoy! What a great list! You know Christmas is getting closer when the gift lists start making an appearance :). Thanks so much for including us on yours! Is there anywhere that I can buy all the “thesaurus” books in a set? Hello, love your past thesauri. I’m interested in your new rural setting thesaurus, but before I purchase, I’d love a “look inside.” This option is not offered on Amazon, though it is for the urban setting. Looking forward to it. Hi, Tamara! I’m so glad you’re interested in The Rural Thesaurus. Unfortunately, the Look Inside feature for the print books can take a few weeks to generate. It’s weird that it popped up almost immediately for Urban; I’ve talked to the powers that be and they say that the timing can be somewhat random and there’s nothing we can do about it speed up the process. 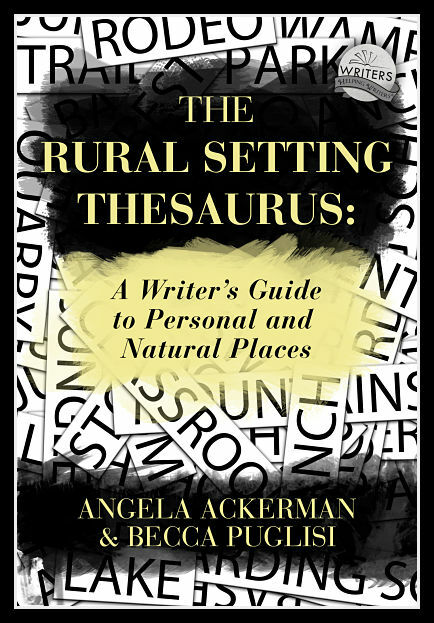 However, the good news is that if you go to the Rural Thesaurus Kindle page, there’s a Look Inside feature there. The kindle and print copies are identical, with the exception of the digital version being linked. So that’s one way you can get a glimpse inside :). 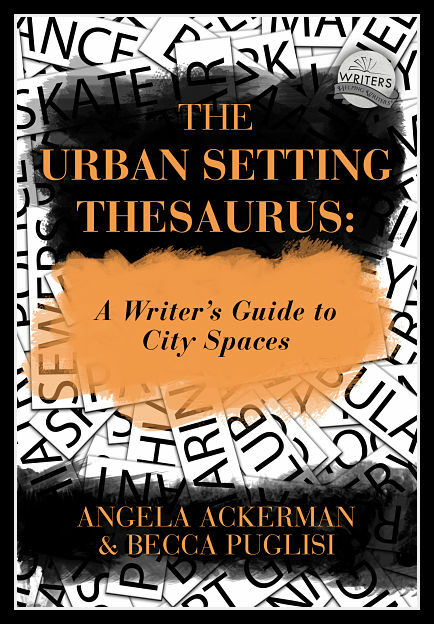 I would like to be notified when the The Urban Setting Thesaurus: A Writer’s Guide to City Spaces is available as pdf. Can you please let me know? Thanks! Hi, Daniela. Absolutely, I will let you know. This is the only version we were unable to have ready by today, but it’s on my list to have it ready this week. Thanks for your patience! I just wanted to buy your new Urban & Rural Setting thesauri in PDF format from this page. But as it happens, there are just the usual links to Kobo etc, but no PDF options. But because I’m reading more on my PC than on some stupid smart phone, I’d really prefer to read those books as PDFS than as epubs or kindles. When will you put the option to buy those two setting thesaurus books as PDFs up? Yes, we will have these in PDF as well, but those we format ourselves and so it takes us just a bit of time to get it put together. If you like I can send you an email when they are complete and up on the bookstore page? Sorry for the delay. yes, please notify me when they’re available as PDFs. I am very interested in reading these books. Thank you so much for sharing them. Thank you for your books–they are so helpful! I’m really looking forward to the setting thesauri. To support independent booksellers, maybe you could include a link to Indiebound in the list of places to buy. Thanks again! Your positive and negative traits PDF books show the price as $5.99 each but when I try to buy the price is $6.35 each. How do I buy for PDF versions for $5.99 ? Our prices are the cover price, but do not include any taxes associated with where you may live. So, the price may be slightly different depending on where a writer is from. The price may also be converted into your local currency if you are not from the US. where can I get the books of PHYSICAL FEATURE THESAURUS and WEATHER AND EARTHLY THESAURUS??? Hi, Joe! Unfortunately those two thesauruses aren’t available in book form. The only book formats we have are the ones you see on the Bookstore page. But we’re always adding new ones; the setting thesaurus will be available for purchase in June. The ones that you’re looking for can be found here at our website and also at http://www.onestopforwriters.com, our online library that contains all of our thesauruses in expanded form, along with tons of other resources. Best of luck with your writing! where can I purchase the Emotional Wounds Theaurus? Hi, Roxanne! The Emotional Wounds Thesaurus isn’t a book yet, unfortunately. We’re filling out that collection one entry at a time, every Saturday. Eventually, it may be turned in to a book, but for now it’s only available here at the blog. We’ll keep you posted :). Pingback: What’s The Character of Your Character? Pingback: Friday Link Pack 06/05/2015 | I make stories. appears to be from television and movies. recovering women with the ‘disease’ of addiction. through the day like others. I am referring to the disease not just a dependency. upon our shoulders by us. We were born with this. Believe me no one would choose a life of addiction. do not have blackouts we remember everything. concerning addiction. Sadly it is not their fault. Education about the disease is a joke. day rituals most of us take for granted. Sheree, thank you very much for posting your own personal experiences with addiction. What we list is not one size fits all, but a simple range of indicators that could show an amplifier may be present. We are sorry you took it to mean that these descriptors apply to all people who struggle with addiction, and I can see how this would cause you stress. Our guide however, is to simply list a range of ideas, and encourage writers to chose the ones that fit their own fictional characters, nothing more. Thanks you Anabel–we really appreciate it! Congrats on 100,000 copies sold! Yay! Can’t wait to see what other gems you will offer us in the future. Best of luck always! I purchased the PDF version of the Emotions thesaurus, and was disappointed to find that it isn’t built like the other two thesauri, i.e., entries linked to their respective descriptions. Otherwise, it’s very helpful, if I can find the entry I may be looking for without browsing down thru it. Pat, thank you for letting us know! We mistakenly had the wrong version up. I will email you asap. Hi, I bought The Emotions Thesaurus online at Amazon and it was finally delivered yesterday. I would’ve read the guide and put it to good use last night but unfortunately had to prepare dinner, my sons’ breakfast for the morning, my husband’s lunch for work the next day and mine, as well as our clothes to wear the next day. But first thing this morning, I combed through it while riding the bus into work. And as soon as I got into work, I started to spread the word about The Emotions Thesaurus with another coworker. She was so interested she wanted me to email the url to your site and I also shared a link to your bookstore. Wow, Lidy! First off, I’m glad there was no buyer’s remorse with our book. And secondly, thank you so much for spreading the word. Regardless of how many promotional and marketing hoops we jump through, word of mouth is how our book continues to sell. So THANK YOU! And happy writing :). Hi, Lady! I know it’s been awhile since you commented here, but I wanted to tell you that we’ve released a second edition of The Emotion Thesaurus containing 55 additional entries and enhanced front matter. Because you enjoyed the first edition, I thought you might want to know about the second one :). I’m spreading the word around to my writing buddies, inviting them to visit your websites and buy your books. I am so looking forward to your book on settings! Just bought The Positive and Negative Thrait Thesauris. I just can’t thank you two enough for writing these. The hours of research and trial and error is cut down to minutes with these two books. I absolutely LOVED the sample that I read of them. I loved them so much that I not only purchased the paperback versions of the book, but also put a copy of each on my iPad. I’m new to the Script Writing game and while still learning wanted something that would help me with substance and insight into why people do what they do and at times say the things they say. Only by reading these books and with practice will I hone my skills in writing Screenplays with deep, rich characters. I’m also ordering these books for my 17yr old daughter that is also an aspiring writer. Jock, I’m so happy these books will be a help to you, and how awesome that you share this passion with your daughter. I would love to try a screenplay one day–it’s on my bucket list. there is a ton that we writers of fiction can learn from scriptwriters too. In fact. two books I recommend over and over for writers is Save The Cat and Writing Screenplays That Sell. Both are brilliant! Happy writing–let us know how it goes! Angela – Thank you for your kind response. YOU are an EXTREMELY TALENTED writer. It’s also your passion that bleeds through the writing of your book that inspires me. What you and “Becca” bring to the table of writing allows others I believe to learn from what you do and helps others be what they’ve dreamed of being. Hi, Jock! It’s been awhile since you commented here about The Emotion Thesaurus, but I wanted to tell you that we’ve released a second edition of The Emotion Thesaurus containing 55 additional entries and enhanced front matter. Because you enjoyed the first edition, I thought you might want to know about the second one :). I previously bought a kindle version of the emotional thesaurus. Problem is that I would love to print it out for reference. I’d also like to purchase both your new books and I probably will in PDF. Is there some kind of package where we can have both versions? We have tried to keep digital copy prices low in order to make them more affordable (and all three are available on print for those who want a desk copy.) I am happy to add you to our Newsletter mailing list if you like, so that you will be the first to know when ebook pairings are available in the future. Hi, Teri! I’m replying to a wayyyy back comment of yours regarding the Emotion Thesaurus :). I wanted to tell you that we’ve released a second edition of The Emotion Thesaurus containing 55 additional entries and enhanced front matter. Because you enjoyed the first edition, I thought you might want to know about the second one. I purchased (and loved) my Nook version of The Emotions Thesaraus – until my Nook died. sniff, sniff. Had no idea you had other books available until I browsed for a kindle version. Is there any discount for purchasing a set of your various titles? Pingback: Paying it Forward: Free Webinar! | When we're not writing, we're probably reading. I just ordered The Emotion Thesaurus by mistake. I already have that book. I wanted the Negative Trait Thesaurus in PDF.